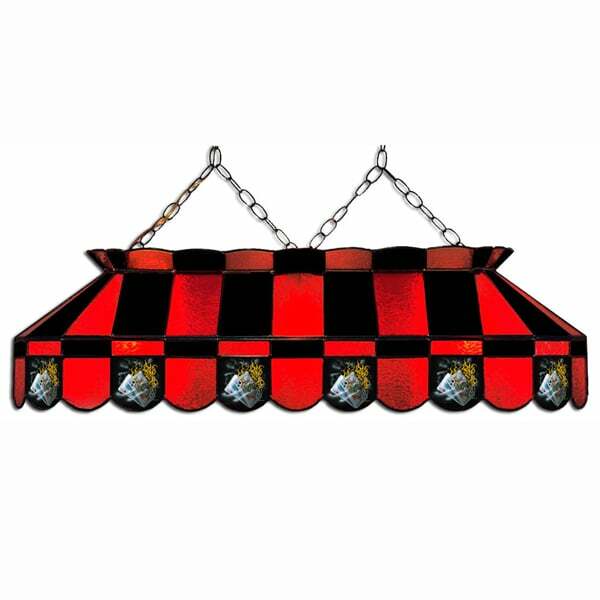 No Pool Table of Billiard Room is complete without a pool table light. Not only does it help improve the play of the game, it puts the final touch on the decor of the room as well. These easy to install lights are made from stained glass and feature the unique upscale designs from Michael Godard, often called the Rock Star of the Art World. NOTE - The proper height of a billiard light should be measured from the table top and the bottom of the lamp shades should be 30" from the pool table table surface.